The DMC Advantage offers a fresh perspective to sales and marketing for DMCs to the UK conference and incentive market. Our ethos is to work with the most creative, friendly, understanding, cost-effective, flexible Destination Management Companies across the globe. You’ve heard that before? Well our considerable experience selling DMC services means we know who the best are, we talk to our industry clientele for their opinions, we tailor solutions based on your needs. We know our market, we know our destinations. Our unbiased opinions are based on experience. If, like us, you want creative, cost-effective, flexible solutions for your events, go no further. Drop us a line or give us a call! James Dowson started his career with Trailfinders, the independent travel agency in 1996. The Trailfinder ethic is to sell based on unbiased advice, helpful and friendly service. While learning the sales role it also gave James a passion for the industry while travelling widely across the globe. In 2001 James joined Emirates Airline as Sales Executive, first in a leisure market role but very soon taking on the newly created position of MICE Sales Executive. It was here that James developed a deep understanding of the UK conference and incentive market as well as forge lasting client relationships. James helped build the airline’s reputation for excellent understanding of groups’ needs and set the benchmark for group services emulated by many other airlines today. After 4 very enjoyable years there followed a role as Senior Sales Manager MICE with Sofitel Hotels where James managed key accounts as well as fostered his passion for opening doors to new clients. Simon graduated from the University of Northumbria in 2001 with a 2:1 BA Honours degree in Travel and Tourism Management. 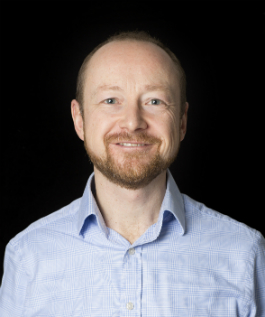 In his university placement year working for McGarvey Russell, a leading events agency, Simon got hooked on the buzz and excitement of conference and incentive travel. On graduating he rejoined the company cutting his teeth organising international conferences, incentives and events, travelling far and wide. Subsequently Simon worked in event planning and operational roles at Universal CIT and Grass Roots furthering his travel experience and industry skills. In 2006 Simon joined representation company, Avenue Sales and Marketing, as C&I Sales Director for the Corinthia Hotels account. During this period Simon honed his account management skills and started to build up an impressive, loyal and trusting client base amongst the industry’s leading event agencies, realising that the sales side of the industry was his calling. Simon then entered the world of DMC representation joining MM and Company in 2010 where he managed client accounts promoting the portfolio of World-Class DMCs. 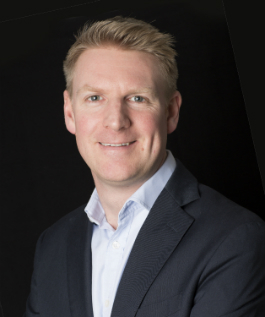 In 2013 Simon moved into the corporate DMC arena as Director of Global Sales for AlliedPRA, responsible for the UK and EMEA markets and managing the UK sales team before joining The DMC Advantage in March 2015. He is delighted to be back working with James again forming the dynamic duo! Simon always conducts business with honesty, integrity and professionalism. With great attention to detail and passion for delivering the highest level of service to clients, Simon works with James to position The DMC Advantage as the representation company of choice. In September 2017 we were pleased to announce that we have welcomed Veronika Vackova, known as Nika, to The DMC Advantage team as Sales Executive. Nika is a graduate from the University of Economics in Prague with a Bachelor degree in corporate finance and management. Soon after completing her studies she moved to England where she is now fully enjoying British life in Buckinghamshire. Having experienced her first working abroad opportunity in 2014 when she travelled to Morocco and Crete as a representative for a travel agency, Nika was drawn to the travel and events world. We are thrilled to have her on board as she is confident, friendly, enthusiastic and has already proven to be a great asset to our team as she immerses herself in the world of DMC representation. With trips to Spain, Malta and Iceland Nika has enjoyed a whirlwind start to her DMC Advantage career and is looking forward to many more foreign adventures and building her industry knowledge and contacts. Lucy Dowson began her travel industry career at Trailfinders in 1996 following a year’s marketing and sales placement with British Airways. In 1999 she joined Dnata (later Emirates Holidays) in a sales role before a position selling the Fairmont Dubai to the UK corporate market. This corporate experience served her well during her 3 years at The Langham London where she focussed on both corporate meetings and events sales and transient accounts. Her recent experience has been in a number of sales, marketing and administrative roles at De Vere Venues Latimer Place. Tim Penrose started his career in travel with USIT Campus, selling adventure travel to the youth market after been bitten by the travel bug himself on a round the world trip. In 2000 he joined Emirates Tours in a Sales Support role, before moving into the Sales & Marketing team. Developing an understanding of the luxury end of travel, he became more involved in the online arena and producing the high-end content required for the brand’s growth. From 2008 he was responsible for the day to day success of the company website, overseeing the launch of the fully bookable site and the re-branding to Emirates Holidays. Joining in December 2015, Tim is thrilled to be working with James, Simon, Nika and Lucy in this exciting period of growth for The DMC Advantage.